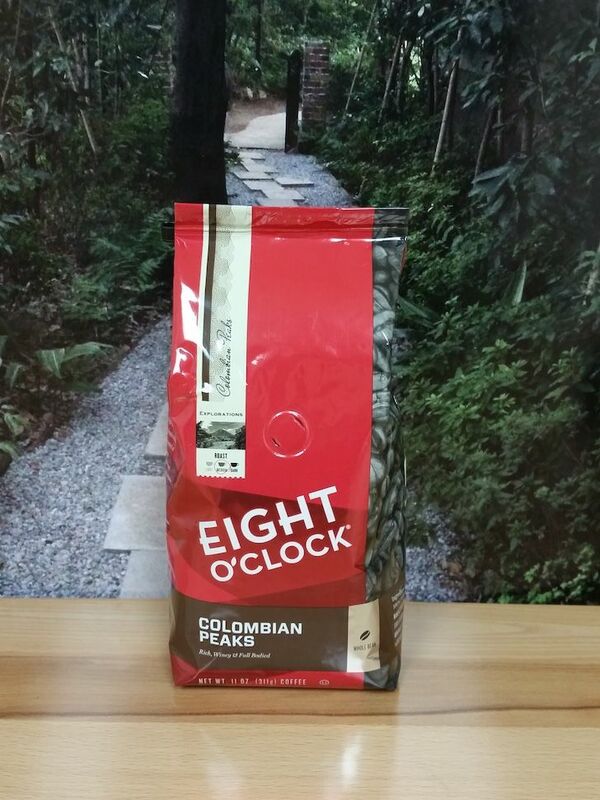 A bold Colombian coffee from Eight O'Clock Coffee. Full Bodied, Smoky, and Sweet. Aromas of this coffee are overall pleasant- golden malts and leather. Medium in weight, the body is a touch sticky on the palate. Initial impressions of flavor include bright herbaceous tones, lacing dark chocolate and caramel. Dark walnuts and earth come in at the finish, with a savory linger. The smells off of Colombian Peaks are pretty sweet, like light caramel and chocolate. In the mouth, it feels full and smooth. When it comes to flavor, this coffee is evenly balanced between sweetness, acidity and bitterness. The finish turns a little dry and bitter like bakers chocolate. It’s a great match for a hearty breakfast, sweet or savory. Categories: Coffee Ratings. Origins: Colombia. Flavors: Green Herb, Milk Chocolate, and Tobacco. Brew Descriptors: Full Body, Smoky, and Sweet. Roasters: Eight O'Clock Coffee.